An Urbana man was arrested Sunday in connection with local burglary attempts in the city. William F. Johnson, 53, of 4071 S. U.S. Route 68, Lot 22, was charged with felony charges of attempted burglary, theft, breaking and entering, safecracking, possession of criminal tools, vandalism and possession of dangerous drugs along with misdemeanor theft, resisting arrest and possession of drug paraphernalia charges in connection with multiple incidents. Urbana Police Chief Matt Lingrell states in a press release issued Monday that the Urbana Police Division investigated an attempted burglary to an apartment in the 200 block of North Main Street around 12:39 a.m. Sunday. According to a resident there, residents may have frightened off a burglar when they hollered that were notifying police. Police found where an attempt had been made to pry open the door to the apartment, but were unable to locate anyone in the area. Around 1:21 a.m. while patrolling the area, Urbana police Sgt. Dave Reese observed a suspicious person with a backpack walking in the area with a hood covering his face. Reese began to follow the man on foot and found him at the rear of the VFW building on East Court Street. Reese reported that when he identified himself and called out to him, the suspect began running. After a chase through neighborhood yards, Reese captured the man after spraying him with chemical spray when he refused to follow Reese’s verbal command to show his hands. The man was identified as Johnson. 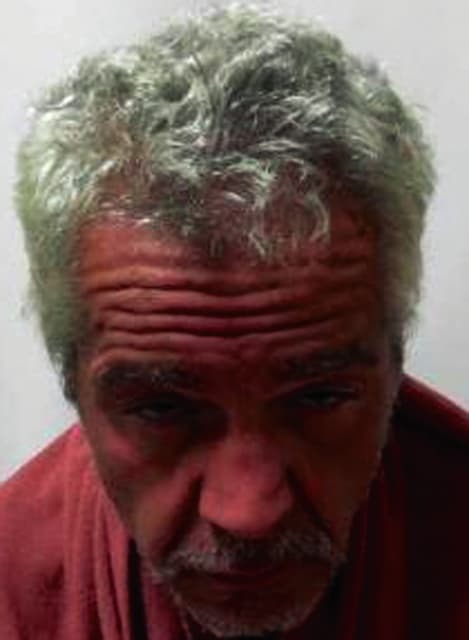 He reportedly had property belonging to Bill’s Flower’s, 221 N. Main St., and the Mayflower restaurant, 225 N. Main St. Johnson also possessed criminal tools used for burglaries as well as several knives. Police checked and found both businesses had been broken into and had property stolen. Police recovered the property. Additional officers were called to assist with processing the scenes for evidence and to watch Johnson, who was transported to Mercy Memorial Hospital to be checked prior to going to jail. Latent print evidence developed by crime scene officers and recovered from inside the two stores reportedly tied Johnson to the crimes. Johnson’s bond was established at $10,000 Monday, according to the Champaign County Municipal Court’s website. He remained in the Tri-County Regional Jail, Mechanicsburg, as of Monday afternoon, according to the jail’s website. Several Urbana police officers conducted a drug investigation search warrant raid at 247 Harmon Ave. at 8:32 p.m. Friday. Lingrell said Eddy Powell, 57, and Barbara Vanderpool, 52, live at the residence. The raid was the result of an ongoing investigation involving Mechanicsburg and Urbana police in relation to this address, where suspected drug trafficking crimes were occurring. During their search, officers recovered illegal drugs and drug items including prescription drugs, marijuana and drug paraphernalia. Some of the evidence recovered and confiscated by police was sent to a crime lab for analysis. Police interviewed Powell and released him, pending the results from the crime lab. They plan to present this case to an upcoming grand jury. Urbana police ask that anyone with information on drug abuse and trafficking crimes to notify them at 937-652-5345 or their crime/drug tip line at 937-652-4357.